Bourjois is an old maid. An old maid who got around so now she’s deemed ‘cheap’. She shops in Boots. Her younger, more beautiful sister married rich and enjoys an opulent lifestyle. She shops in Brown Thomas and her name is – Chanel. Now I will let you into a secret…it is possible to buy TEN make-up items for the price of one Chanel lipstick and don’t worry, before you begin to turn up your nose I can assure you that I am not suggesting you make tracks to your local Euro Store. I’m talking about Catrice the German make-up brand (so it MUST be effective!) that has got savvy beauty aficionados talking. 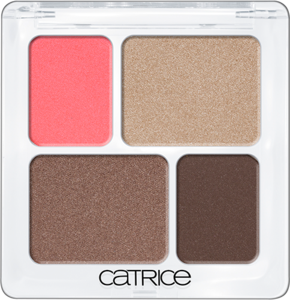 Even though I had passed by its stall in my local pharmacy a few times before, it didn’t strike my attention until I read a review of its ‘colour eye quattro’ on beaut.ie. The particular eye-shadow reviewed was called ‘Mud Spencer & Coralle Hill’ and I agree with the ladies of beaut – it’s marvellous! I have been using it as my day eye make-up for months (aside from special day occasions when I return to Benefit’s old favourite ‘Big Beautiful Eyes’). The brown and gold shades work nicely together and there is a rose colour that I admittedly rarely use on my eyes but is a nice shade to use as blush! It’s €4.99. Seriously. 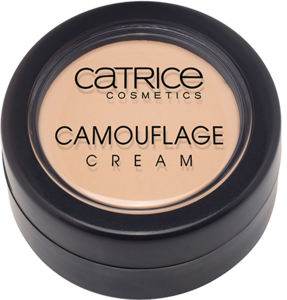 Another Catrice product that I cannot live without is its Camouflage Cream concealer. I splashed out on extortionate Make- Up Forever foundation last month and was so disappointed in it. The Catrice concealer completely saved it. 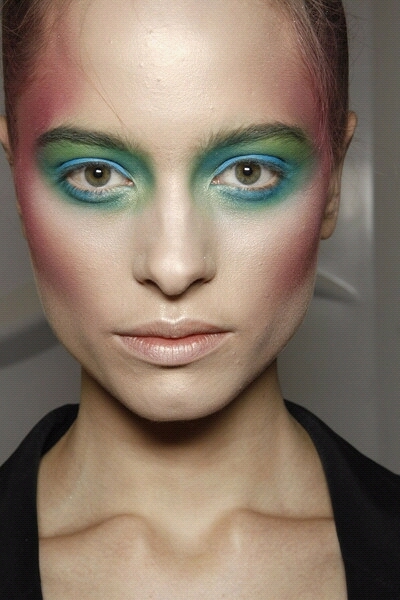 While the MUFE foundation was an ok base, the concealer really held it together. I’m using it with Rimmel‘s* re-formulated foundation Stay Matte now and am trés pleased with the results. CM swears by Catrice’s Glamour Doll Volume mascara which she reckons is modelled on Lancôme’s Doll Eyes. She believes that it does just as good a job, if not better, at a tiny fraction of the price. When my Clarins mascara runs dry that is what I will be replacing it with. I can’t deny that I would like to be able to afford top-shelf products. However, when I win the lotto tomorrow (yes, when I win, positive thoughts!) I won’t be dumping my Catrice products. While you may not want to wear them all the time – I reserve my Estée Lauder Double Wear Foundation for nights out and special occasions – they are make-up bag essentials and though cheap, are surprisingly high quality. You can find Catrice products in independent pharmacies and Penneys! *Last worn during my teenage years, Rimmel is making a come-back in my make-up sphere. The foundation I mentioned is really good and I have rediscovered its loose powder which is still the best around. No need to bother with expensive alternatives. Before I go I must mention Essence. Essence is Catrice’s little sister and while it has not quite reached the heights of the other brat Chanel (ok Essence should truly be reserved for your actual little sisters) it does damn good nail-varnishes. Just remember to wear a base coat and lashings of top coat and you are good to go!